Uncapped batsman Will Pucovski has been released from Australia's Test squad and he can now prepare for domestic action with Victoria. The 20-year-old travelled with the rest of the squad to the matches against Sri Lanka in Brisbane and Canberra but remained on the bench. 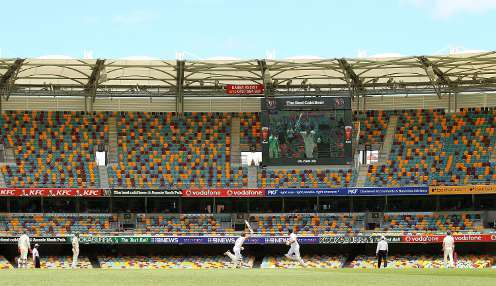 But Cricket Australia released a statement at the end of the first day of the second match to confirm Pucovski was departing the Australian capital 'to continue managing his well-being'. Australian team doctor Richard Saw said: "He reported some challenges over the past few days and the decision has been made that the best thing for Will's welfare is for him to return home to Melbourne. "Will has been proactive in this process and, while he has made significant progress, he feels this is the best course of action to get ready to play cricket for Victoria. "He worked closely with members of his family, Cricket Australia medical staff and Cricket Victoria to reach his decision. "Cricket Australia and Cricket Victoria will continue to support Will, and we kindly ask that Will's privacy is respected so he can continue working towards a return to premier cricket and the next round of first-class cricket." Australia are 1/1000 to win the second Test against Sri Lanka and 7/4 to win The Ashes series later this year.